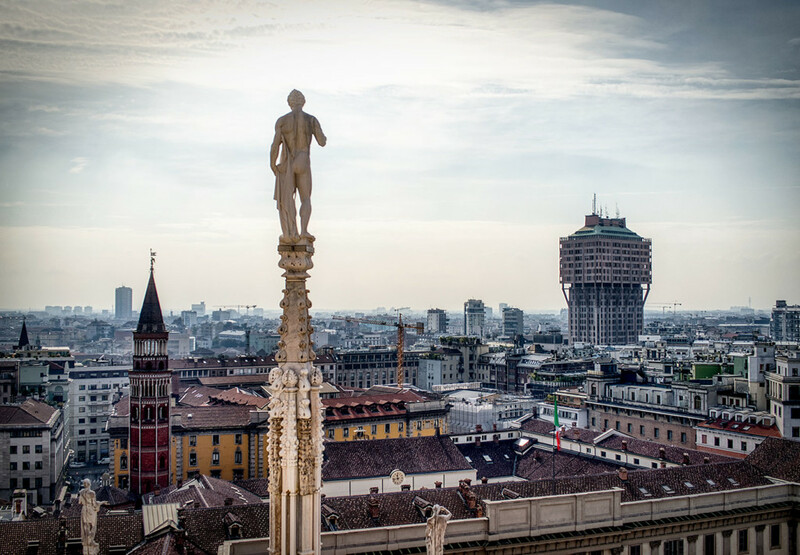 From where to get this great view over Milan? You have to enter the roof exploration tour of the Milan Cathedral. After going up with an elevator, you walk on narrow paths directly on the roof, seeing the statues and concrete ornaments and pillars near you.